Lake Chapala 25 minutes from the international airport. Lake Chapala has become the number one place to retire in Mexico, located on the north shore of Lake Chapala, Mexico's largest freshwater lake. It is Mexico's largest lake at 55 miles long and 15 miles wide.For retirees looking for a comfortable lifestyle that is both affordable,easy-going, and inviting, this area fits the bill. There are more than 50,000 residents from the US and Canada living in Lake Chapala, and the reasons include: low cost of living; high-quality medical care; a myriad of recreational activities, fantastic scenery; English-speaking residents, and of course, the Lake! Moreover, it is a 40 minute drive from Guadalajara, the second largest city in Mexico. In recent years, because of the prevailing climate and attractive scenery, a substantial colony of retirees, including many from the United States and Canada, has established itself on the lake's shore, particularly in the town of Ajijic, Jalisco, located just west of the city of Chapala. 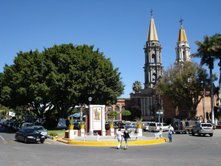 There are several small towns that make up the area surrounding The Lake, the major Mexican inland for retirement communities. One is called Ajijic, and is populated with more than 5000 residents. Considered the jewel in the crown with cobblestone streets and central plaza, this 450 year old village is the most popular place for visitors and residents alike. These quiet communities are in an area where you really can stretch your retirement income and find a comfortable lifestyle on about half of what it costs to live in the United States. You can buy fresh fruit and vegetables from the farmers open air market in Ajijic, or you can visit the many restaurants offering the finest cuisine Mexico has to offer. The climate is probably the first major attraction to the area, very few people find the need for an air conditioner, because the lake sits about 5,200 feet above sea level so we get virtually no humidity. 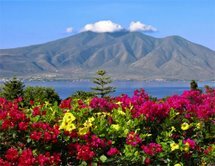 Finally, as a retiree in Lake Chapala you can visit Guadalajara or Puerto Vallarta (only 4 hours away); the airport is within a 30-minute drive; close to the US; access to the internet and satellite systems; and a friendly retirement community that is well- established to make you feel right at home.